If you weren’t sure that things are getting desperate for Hillary, this might just send you over the top. 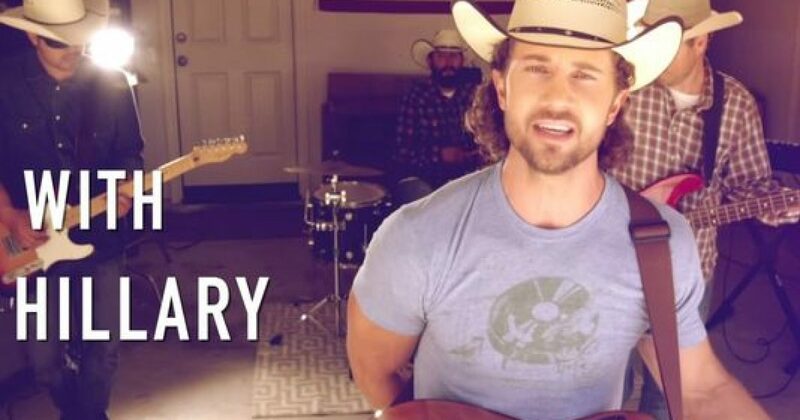 I’m not sure if this country singer was sanctioned to create this tribute to Hillary, but it reminded me of the music coming out of Iraq during the Saddam Hussein era where all songs must be a tribute to Saddam Hussein. I have to believe that even the Clintons haven’t sunk this low, and this is just the lunatic idea of a country singer trying to hitch his wagon to Hillary Clinton. If that is the case, it’s bad timing; as the Left is finding out, Hillary is not a thoroughbred but a nag instead. Best of luck pimping this nonsense. I can hardly wait to see the Elizabeth Warren video, except this country cowboy will have to add some Indians…fake Indians.